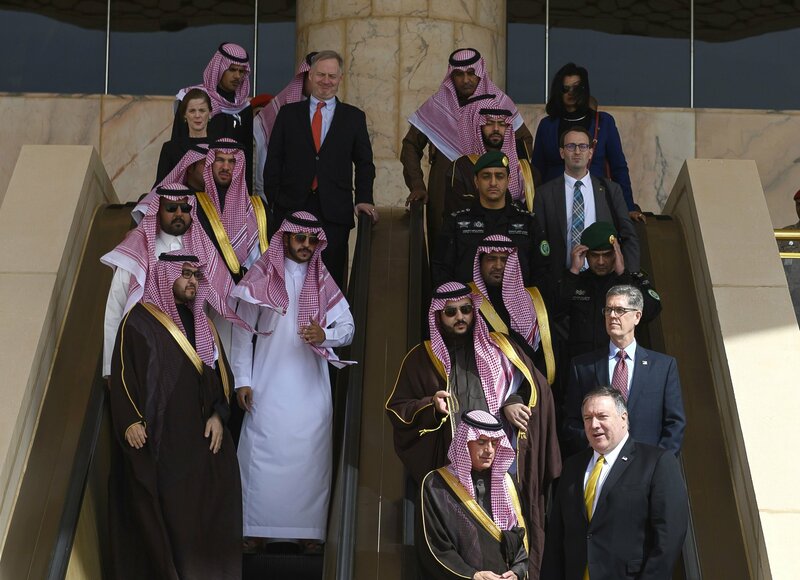 Secretary of State Mike Pompeo, bottom right, stopped Monday in Saudi Arabia, which is leading the anti-Iran charge in the region. Credit: The New York Times. 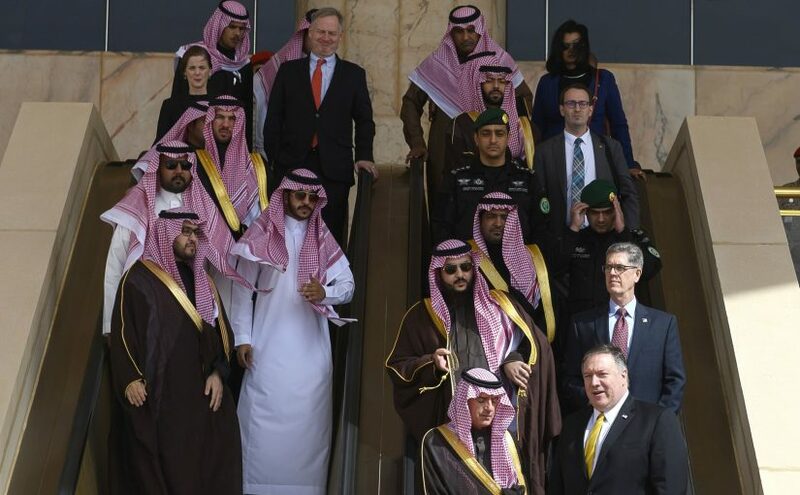 Secretary of State, Mike Pompeo, kicked off a week-long tour of the Middle East, meeting with leaders and officials from eight countries. His stated intention in undertaking this whirlwind diplomatic venture was to strengthen the coalition of Arab states and the U.S. in order to quell the growing reach of Iran. 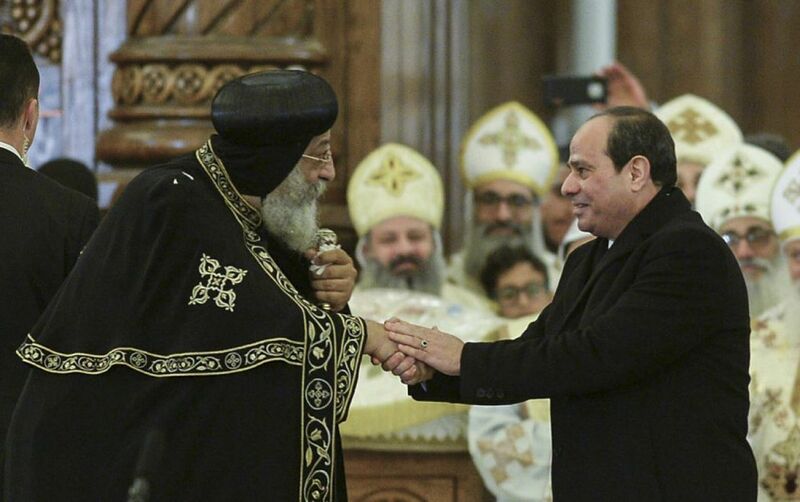 However, the call for unity within the Middle East comes at a tense and complicated time. Iranian-backed militia and organizations have a large presence in several countries. Hezbollah remains strong in Lebanon, and various groups in Syria and Iraq work to further Iranian interests. Reining these groups in is particularly challenging given President Trump’s decision to withdraw U.S. troops from Syria. As American presence and investment in the region seems to dwindle, it may be difficult to convince certain Arab states to undertake the formidable task of facing up to Iran. Not all countries recognize it as severe a threat as the U.S. and Saudi Arabia. There are of course other roadblocks to unity. Mr. Pompeo spoke with the Saudi Arabian Crown Prince, Mohammad Bin Salman, on the troublesome human rights issues emanating from the Kingdom. The recent murder of Jamal Khashoggi, an outspoken critic, in the Saudi embassy in Turkey caused international uproar. This, combined with the war in Yemen, has shed a negative light on the operations of the Kingdom and its Crown Prince. While both the U.S. and Saudi Arabia are dedicated to the prevention of Iranian influence, these recent events may prove a challenge to the strength of a coalition. Overall, it is unclear whether Mr. Pompeo was able to succeed in strengthening resistance against Iran. An additional headache for Saudi Arabia developed this week when eighteen-year-old Rahaf Mohammed Alqunun fled from the Kingdom to Thailand. The Saudi Arabian embassy pressured the Thai government to return her, but she was allowed to stay while she sought asylum elsewhere. The young woman cited an attempt at forced marriage and familial abuse as cause for running away. Canada expedited her case and granted her asylum on Friday. Kenneth Roth, executive director of Human Rights Watch, tweeted, “Canada’s welcoming of Rahaf is a fitting rebuke to the Saudi crown prince’s temper tantrum against Canada for defending the rights of Saudi women.” He also encouraged greater action for activists currently jailed in Saudi Arabia. The U.S Armed Forces’ recent withdrawal from Syria has left the Kurdish independence fighters vulnerable to Turkish aggression. However, Donald Trump vowed to react strongly if Turkey chooses to engage. He tweeted Sunday that Turkey will face harsh sanctions if attacks are carried out against the Kurds and promised to “devastate Turkey economically”. He declared that there will be a twenty-mile safe zone around the Kurdish forces upon America’s withdrawal. This has caused some strain between the U.S. and Turkey, NATO allies. Turkey and Kurdistan have long been rivals, and the Turkish government has classified the American-backed Kurds as terrorists. A spokesman for President Erdogan said in response that “Turkey expects the US to honor our strategic partnership and doesn’t want it to be shadowed by terrorist propaganda.” This back and forth comes at an inconvenient time as Mike Pompeo was attempting to make a deal with Turkey to protect the Kurds and their interests. Benjamin Netanyahu recently announced that he had a “dramatic statement” to deliver on Monday’s prime time news. Many expected a statement of national or international import, but were instead greeted by a seven-minute-long personal defense against allegations of corruption. Mr. Netanyahu has recently found himself the center of an investigation on charges of bribery. He has been accused, among other things, of buying positive news coverage in exchange for government benefits worth hundreds of millions of dollars. He used prime time coverage to denounce the investigation as a “witch hunt” carried out by Left-wing adversaries. His critics have condemned the speech as embarrassing and a weak attempt to divert attention from the severity of Mr. Netanyahu’s situation. Elections were scheduled to be held in fall, but Mr. Netanyahu recently moved them to April 9th.